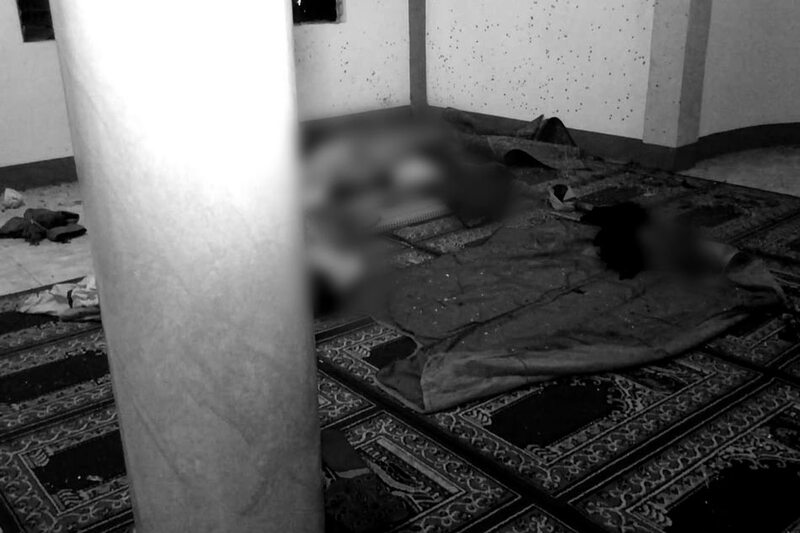 ZAMBOANGA CITY -- Two people were killed while 4 others were injured in a grenade attack on a mosque in this southern city past 12 a.m. on Wednesday. It was the second explosion in southwestern Mindanao in 4 days. On Sunday, twin explosions rocked a Catholic church in Jolo island, leaving 21 people killed and 100 others hurt. Authorities have not said whether the two incidents are related. Two unidentified men lobbed a grenade into the mosque in Sitio Logoy Diutay, Barangay Talon-talon past 12 a.m., said Col. Leonel Nicolas, commander of Joint Task Force Zamboanga. The victims, most of whom were Muslim religious leaders from Basilan and nearby provinces, were sleeping when the explosion occurred, said Senior Supt. Thomas Joseph Martir, director of the Zamboanga City police. The group visited Zamboanga City to teach Islam to children, a survivor told ABS-CBN News. The 2 fatalities succumbed to severe injuries while the perpetrators fled on foot, said Martir. Personal grudge could be the motive for the attack, the attackers could also be "riding on the Jolo incident," said the region's police director, Chief Supt. Emmanuel Licup. Islamic State militants claimed credit for the Jolo attack. The military said it was not discounting this, but added that Ajang-Ajang, a subgroup of the Abu Sayyaf, was a suspect.